A "vulnerable" man was kept as a slave and tortured for his benefit money before his headless body was dumped in a Bedfordshire lake, a court has heard. The decapitated body of 26-year-old Michael Gilbert was found in the Blue Lagoon in Arlesey last May. 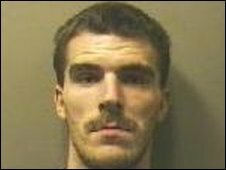 James Watt, 27, is accused of murder and familial homicide. Brother Robert Watt, 20, faces the same charges. Luton Crown Court heard Mr Gilbert was made to sleep handcuffed to a bed to stop him escaping. The Watt brothers, of Chertsey Close, Luton, deny murdering Mr Gilbert on or about 21 January last year. The prosecution said the victim had suffered years of violence before being killed, his body dismembered and head cut off. 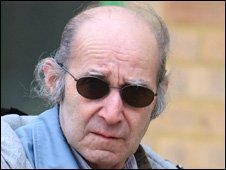 The brothers' father Antonio Watt, 70, of Chertsey Close, is charged with familial homicide and perverting the course of justice. Their mother, Jennifer Smith-Dennis, 58, is charged with familial homicide and two counts of perverting the course of justice. Nichola Roberts, 21, of Burfold Close, Luton, the girlfriend of the accused men's brother, Richard Watt, is charged with murder, familial homicide and perverting the course of justice. 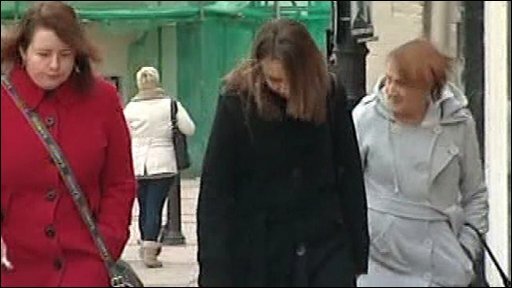 Natasha Oldfield, 29, of Chertsey Close, who is the girlfriend of James Watt, faces the same charges as Ms Roberts. Prosecutor Stuart Trimmer QC told the court that Mr Gilbert was held captive at the Watt family home and all six people charged had some responsibility for what happened to him there. The court heard Mr Gilbert met James Watt when they were both 15 and living at a children's home. Mr Gilbert was introduced to the Watt family and went to live with them, paying Jennifer Smith-Dennis for his keep. Soon afterwards, the violence began and Mr Gilbert was regularly beaten, said Mr Trimmer. He escaped on a number of occasions but each time he was found and made to return, jurors were told. Mr Trimmer said family members beat Mr Gilbert and filmed the attacks on mobile phones "for entertainment", before he was killed. The remains of Mr Gilbert were then driven to a lake 14 miles (22.5 km) away and weighted down with heavy stones. The jury heard how two men discovered a bag in the water last May. Inside was Mr Gilbert's torso, left forearm, severed hands and his lower legs and feet. His knees, right forearm and head were missing but were discovered earlier this month in the lake, the court heard. The court was told he had been burnt, beaten and his body still had airgun pellets in it when it was taken from the lake. James Watt denies murder and perverting the course of justice. The jury heard he had already pleaded guilty to familial homicide. His brother Robert denies charges of murder and familial homicide but he has already pleaded guilty to perverting the course of justice, the court heard. Ms Roberts and Ms Oldfield both deny murder, familial homicide and perverting the course of justice. Ms Oldfield is also charged with assisting an offender, which she denies. Antonio Watt and Ms Smith-Dennis both deny familial homicide and perverting the course of justice. The jury was told familial homicide was introduced into law in recent years and allowed more than one member of a household to be charged over a death if evidence showed they could have done something to prevent it.